I’ve been working on a mini series of articles concerning daily issues for our young people, and how they cope with these issues. It is my hope that God will work through these posts to reach out to those in need of hope, encouragement and guidance, to let them know that they are not alone in their struggles. God cares about each and every one of us, and He wants to help us. If you or someone you know has any ideas or suggestions about future posts, or are interested in doing a guest post, please leave a message in the comment section. As always, I’d love to hear from you! I am very pleased to share with you the following guest post from Stephanie Kehr, a fine upcoming young author. Her article is on peer pressure, a subject that can be quite troublesome for us all. Please share, like, and leave a comment for her, and be sure to check out her blog, “Musings of a Creative Spirit”. Peer Pressure: What’s Your Strategy? The sound of twenty pleading teens echoed off the trees, collecting at my ears in a mash of noise and confusion. It was just a swing. Well, a large swing. I’d be strapped in with harnesses and fitted with a helmet and protective gear. But having already tried such a stunt at a previous event, I knew the high swing wasn’t quite my cup of tea. In fact, if I’d had any tea before that attempt, it would have been instantly regurgitated. “Look, we even got Bethany to do it,” someone nudged me. I looked to see Bethany climbing the swing, her face as white as Elmer’s glue. I’m a pure-bred homeschooler. If it weren’t for the kids I babysit, it’s likely I never would have been introduced to the popular video game, Call Of Duty. Unfortunately, I was introduced. But through the blood, gore, murder, and weapons, Call Of Duty actually taught me quite the lesson during my impromptu babysitting adventure. If you don’t have strategy, you’ll be shot down. You waltz into a room unguarded, and the enemy’s standing behind the door. He fires his gun. The bar turns red. Your man flashes and disappears. “End Game” appears on the screen. You toss down your controller, frustrated. With peer pressure on the rise, teens and young adults are more and more often thrown at the mercy of their more popular (and often less intelligent) fellowmen. On the invisible battlegrounds of school, sports, parties, and even churches, the young adults striving for righteousness are often unguarded, caught by surprise, and slowly, but surely enticed by the people and things of this world. Before we step out into society, it’s important for us to realize that if we don’t enter the battle alert and with strategy, we’ll be shot down. If we aren’t ready with our weapons, we give the enemy the opportunity to shoot first. If we’re not wearing the proper protective armor, our bar will turn red. If we don’t know how to jump out of the way, we’ll blink and fade. We’ll perish. End game. Peer pressure’s pretty scary for a teen living in a big, ungodly, unknown world. The most frightening thing about peer pressure is that it sneaks up on us. You don’t realize you’ve got the disease until it’s too late. We’ve already been shot. We’re already following the wrong crowd. How do we make sure we’re firing first? How do we set ourselves up to make it through the teenage years alive? 1) Always, always, always, go back to the Bible. You know that group of girls always hanging out by the water fountain at church? They like to gossip, slander, talk about boys, laugh at inappropriate jokes, flirt, and evaluate everyone’s outfit. Doesn’t sound too bad, does it? Not really. You could find worse. So, what do you do when an adult or fellow teens urges you to join their group? You go back to the Bible. Even if the girls may look relatively harmless, Proverbs is cram-packed full of warnings against hanging out with gossips, slanderers, and fools. Don’t be like them, the Bible says. Be called. Be chosen. Be different. The Bible is a weapon. If you’re constantly feeding on its truths, you’ll guard yourself against being pulled away by the lies of the world. If you don’t allow yourself to become interested in the things of the world, you’ll be less likely to be pulled astray. I don’t tend to go to extracurricular youth get-togethers, because they often promote flirtatiousness, which isn’t something I want to get a heavy dose of. I strive to live set-apart. I don’t spent a huge amount of time with worldly friends. Mostly, when I don’t particularly want to participate in an event, I don’t allow myself to give in to the pressure. Think about Call Of Duty again. You only have a set amount of lives, right? Every time you give into some small and “harmless” pressure, you’re setting yourself up to give into something that might not be so small and harmless. You’re setting yourself up for the loss of that final life. The red bar. The flash. End game. Everyone has different God-given standards. What kind of standards have you set for yourself? Do you stick with them? If I notice myself beginning to slip spiritually, the first thing I do is look at my influences. I look at who I’m hanging out with frequently, and I ask myself who I’m looking up to most. Usually, evaluating, pinpointing, and dealing with the issues in my influential relationships solve half of my problems. There’s no way to avoid peer pressure if you’re constantly hanging out with, well…peers. I often try to spend quality time with younger teens and kids in order to be a good influence and a blessing to them. However, I also make a point to spend a decent amount of time with older influences, too, whether they’re in their twenties, fifties, or seventies. We learn from older people, it’s true. The Bible talks about having older mentors and Proverbs 15:22 says, “Plans fail for lack of council, but with many advisors they succeed.” Older councilors have been through peer pressure before us and can offer advice. Sometimes they catch our faults, too, and things we don’t see in ourselves. When we learn to put together a strategy to avoid peer pressure, we need to plan with the understanding that without prayer and a genuine relationship with God, our strategy will ultimately fail. He is the light in a dark world. He is our strength when we are weak. No matter how tough it may be or how far into the world we may venture, it’s important to always remember our God is faithful, loving, compassionate, and He wants you to lean on Him and Him alone. Stephanie is a seventeen-year-old dreamer, child of God, and story crafter. She began penning novels as a twelve-year-old and completed her first book at fifteen. In 2013, Stephanie signed with Ellechor Publishing House as a teen author. The release date of her Christian fiction novel, Reaching Home has not yet been announced. If she isn’t too busy dreaming up kingdoms and reciting poetry, Stephanie plans to graduate with an English degree before her nineteenth birthday. Currently living with her homeschooling family of eight, she hopes to get married one day and move to an isolated cabin by the sea. 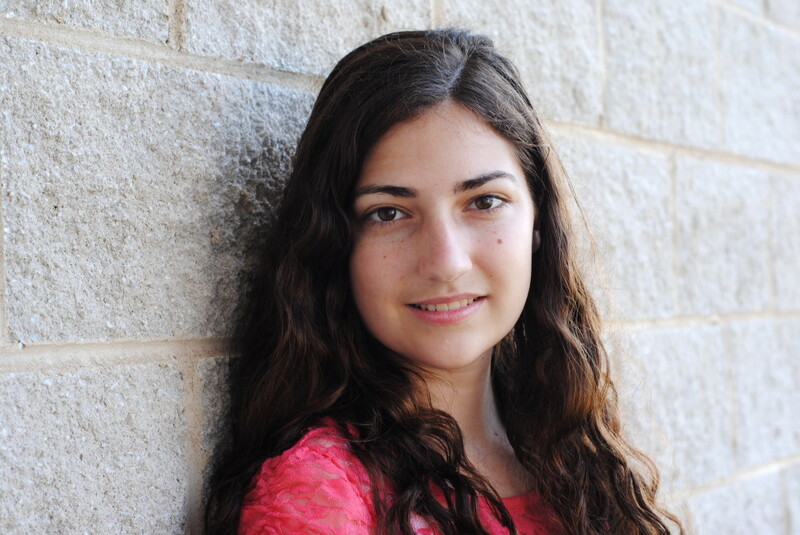 Visit Stephanie’s website (www.stephaniekehr.blogspot.com) where she talks about writing, publishing, being a teen author, and her crazy everyday life.